Tips and tricks for Graphic applications Adobe Illustator, Photoshop, Bridge and InDesign. 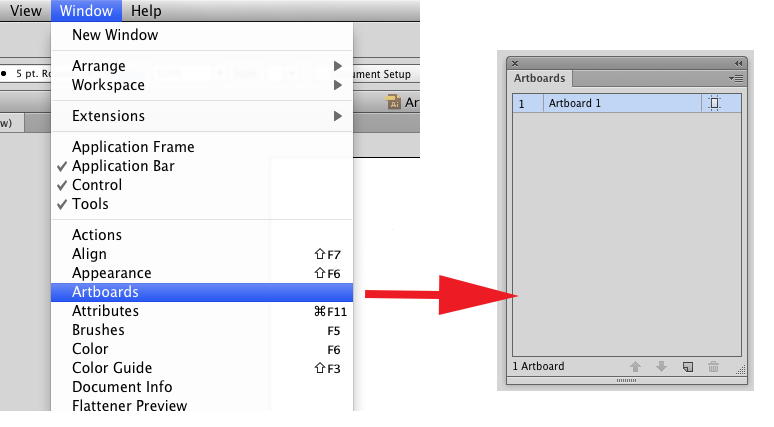 The first theme of my blog will be about artboards in Adobe Illustrator. In my work I often need to create variations of the same basic artwork. Therefore I prefer to duplicate artboards, rather than create them from scratch. As an example I'll show how to create variations of a simple hang tag. 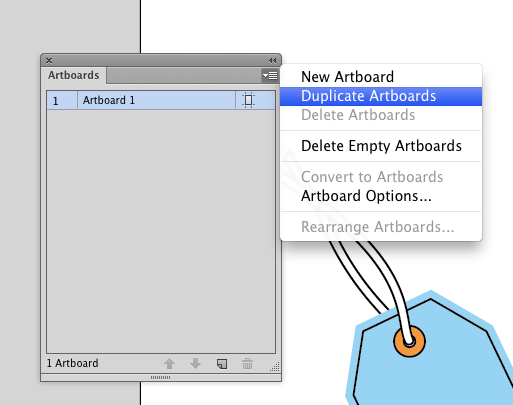 In the artboard panel I choose "Duplicate Artboards" from the drop down menu in the upper right corner. 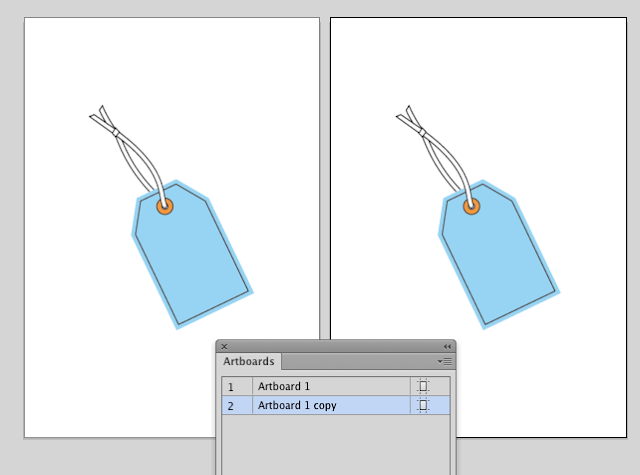 Now I have to identical artboards, with the advantage that the artwork is placed at exactly the same location on both artboards. 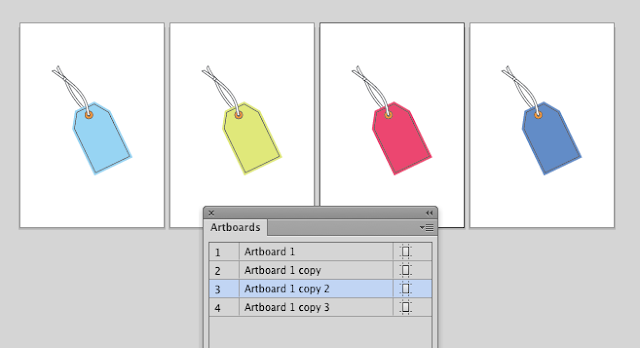 To try out four color variations, I duplicate my artboard three times and choose four different colors. It makes your artwork look more professional as it does not jump from side to side on the pages. © Ekaterina Gordeeva Bjerrum 2017. Simple tema. Leveret af Blogger.